The way it works is: Your dog wears a light weight, waterproof collar with a GPS beacon built-in. And you keep track of your dog’s exact location on a 3.5 inch (9 cm) color screen. It is as simple as that. The RoamEO system works out of the box. No set up is required for basic functionality. 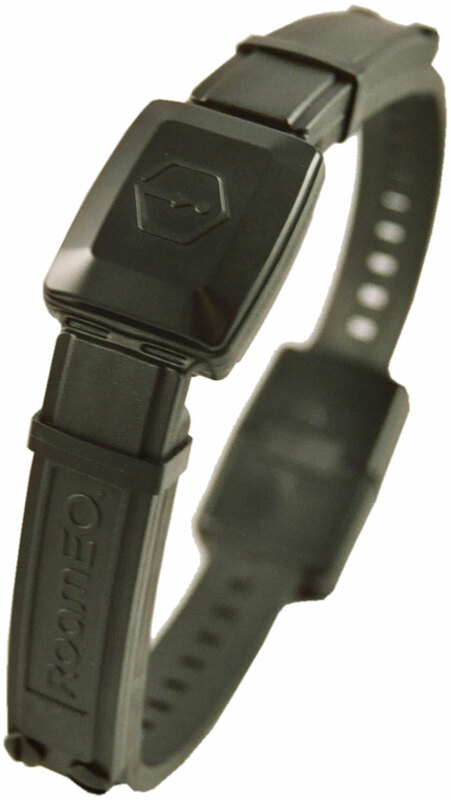 The main downside of the system is that the batteries in the collar have be recharged every two days or so. 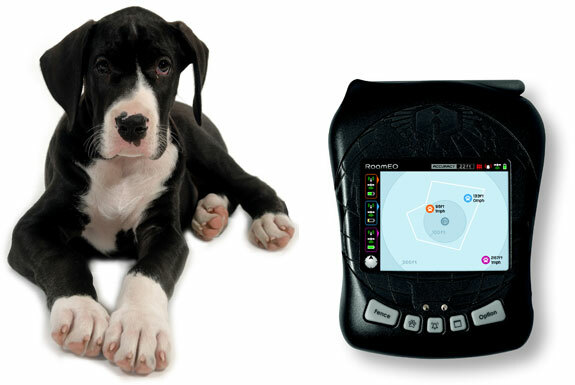 The system comes with rechargeable batteries and the GPS unit displays the charge level on your dog’s collar. Still, we find ourselves using the RoamEO more for outings with our dog rather than everyday around the house. If you use RoamEO around your house one of the coolest features of the system is the ability to program in a virtual fence line. 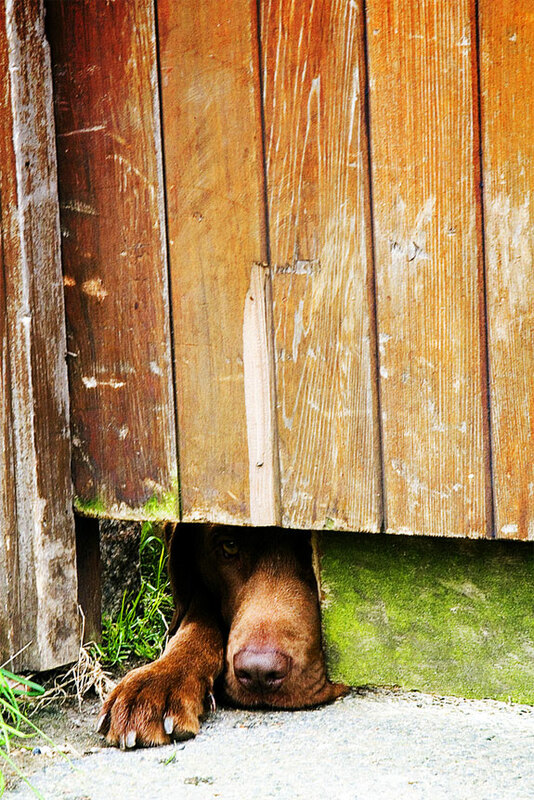 When your dog strays outside of an area you designate (your back yard, for example) the RoamEO will sound an alarm. A single GPS unit can track up to three dogs (as long as each one wears its own color). 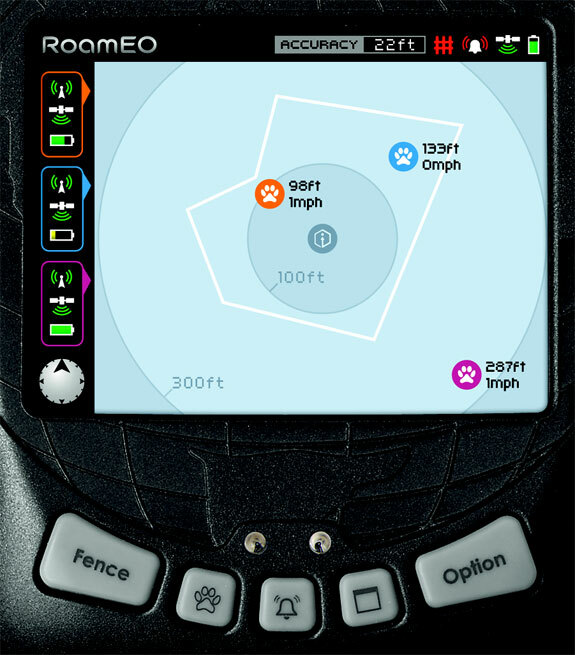 The RoamEO unit displays a dog’s velocity and can track Fido within a 1 mile (1.6km) radius. The system is expensive ($400+, including one collar, through the SpotCoolStuff.com discount link below). But then it is hard to put a price on keeping your pet off of those posters at the coffee shop.